A classic pannier design made from Carradice's special high quality cotton duck and chromed leather straps. Have used Carradice for the last 40yrs, I have tried others but I always came back to carradice like a trusted friend, the high quality of the product is still the same in fact I still have saddlebag which is well over 20yrs old and still in use. High quality, good looking panniers. Highly recommended, although they came in a bit dirty. 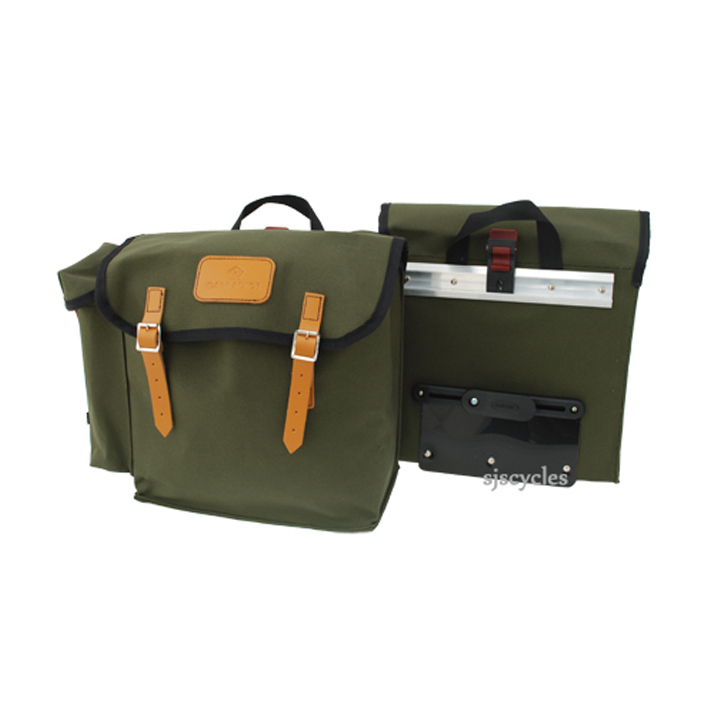 nicely made panniers with quality materials and workmanship. classic design that never goes out of style. Is the weight for one bag or a pair? Thx! The weight will be for the pair. Hi, yes the price is for a pair.